bolt themes has been purchased 30, rating: 4/5 based on 4 reviews. If you are having difficulty choosing the most suitable theme for your Shopify store, Bolt is a smart choice. This is a clean, modern and eye-catching theme that draws customers right at first sight. In addition, Bolt Shopify theme includes tons of powerful modules such as Mega Menu, Blog, SEO, Revolution Slider, Slideshow, Ajax Search, etc. 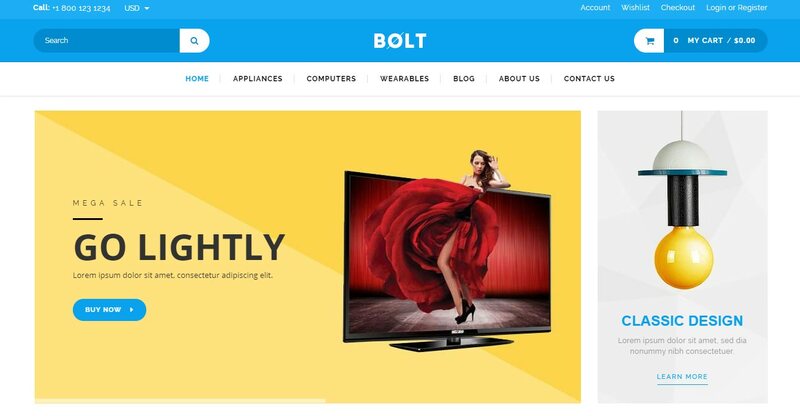 Plus, Bolt has a flexible control panel that offers great experiences for e-commerce store owners. Explore Bolt Shopify theme to feel!